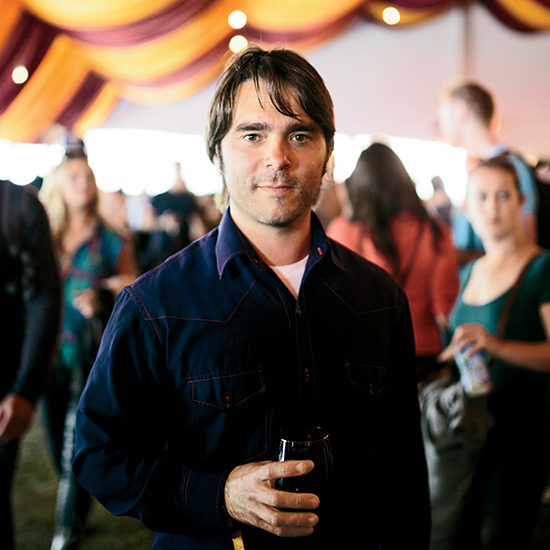 Peter Eastlake, who curates the wine tent at the Outside Lands music festival, loves tracking down great values. Here, his picks for everyday drinking and summer entertaining. For almost a decade, you’ve only carried wines under $25 in your East Bay stores, Vintage Berkeley. Has finding good inexpensive wines gotten harder? I’d say the number of good wines under $25 has actually increased. Even Pinot Noir. Today, I’m able to stock six or seven Pinots at $18 to $25 that are really good: site-expressive, great-quality wines, like the 2013 Luli from the Santa Lucia Highlands or the 2013 Banshee from Sonoma County. I could not find those wines nine years ago. Bargain Pinot that’s good? Who’s making these? The assistant winemakers and cellar rats of 10 years ago, much of the time. They don’t own vineyards, they don’t have mortgages, they’re making wines at custom-crush facilities—and in the end, they can get wine onto shelves at a better price. What specific regions of California do you think of first when it comes to great values? Mendocino for one. There are some old-vine Carignanes from long-established vineyards that are really great. Potter Valley has some fun old-vine wines, too. I also like Paso Robles. Eight or nine years ago, if you tasted through a heap of Paso wines, you got a lot of bruiser, hulked-up bottlings. Occasionally, you still do, but some of these young guys who work for vineyard management companies—who know where there’s one acre of this, or half an acre of that—they’re doing exciting stuff. Like Rory Williams at Calder Wine Company and Andrew Jones with his Field Recordings wines. Are there bargains in Europe’s top wine regions? I drink a ton of under-$25 Dolcetto and Barbera from Piedmontese producers like G.D. Vajra and Vietti. Even Barolo and Barbaresco, when you put them next to French and Napa Valley blue chips, are good values. I don’t mind spending $65 on Ettore Germano’s Barolo Prapò, for instance; it’s got power, elegance and Nebbiolo deliciousness all wrapped up together, plus I’m getting a wine that will age beautifully for decades. That sort of thing from Burgundy, forget it. You’d pay twice as much. I usually don’t associate wine with rock festivals, but you’ve created a great program at Outside Lands—what’s that like? The Wine Lands tent is like an ornate, tricked-out airplane hangar. In 2014, we had 36 wineries pouring, from well-known producers like J. Lohr to boutique names like Broc Cellars and Sean Thackrey. As soon as the gates open, people fly in. We’re really lucky to have found the right sort of synergy. At Bonnaroo in Tennessee—which I’m also usually at and which I love—wine wouldn’t work at all. It’s 95 degrees there, and you’re in the middle of a field. I grew up in Houston, where it’s 95 degrees all summer. What wines are good for climates like that? White wines that are thirst-quenching and food-friendly, like Riesling. Rosé can hang with either a steak or a salad, so that’s a must. And for reds, I lean toward wines that have vibrant, fresh-berry tastes versus heavy-duty tannins, oak or alcohol: Gamay, Dolcetto, Barbera, Pinot Noir, Grenache, Mondeuse, Zweigelt, even some lower-alcohol Zinfandels. And if you have more than eight people at a party, definitely serve at least one magnum. Rosé in magnum is a trend—is that silly or cool? Do you have any advice about chilling wine? Don’t serve white and rosé too, too cold—you don’t want it icy or you’ll mute any nuance or complexity. But do toss reds in the ice bucket for a few minutes. Drinking 80-degree red wine is really unpleasant. What about the big, rich reds of the world—do people still want them? Absolutely. The fleshier, sweeter, stronger wines still wow people; they win the buff-body competition. But every day, people in our shops will ask, “What’s the alcohol content?” Ten years ago, I don’t remember that ever happening. Look, we’re all trying to lead healthier lives, and 15.4 percent alcohol is tough. I’m past 40 now, I’ve got two kids and I don’t drink Châteauneuf anymore—the alcohol’s listed at 14.5 percent on the label, but it’s really 15.1. That’s going to destroy me.